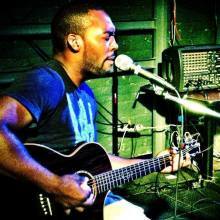 Baltimore blues artist Quinton “Q” Randall joins us to talk about his music and life. You can check him out on February 10th at the Ottobar with Sidewalk Chalk and J Pope N Funk Fridays and on February 11th in Jessup with Poet Mosaic. Its the Monday Night Blues Jam 1746 Fleet St American legion hall post 95 8-12midnight ever Monday Night all are welcome.